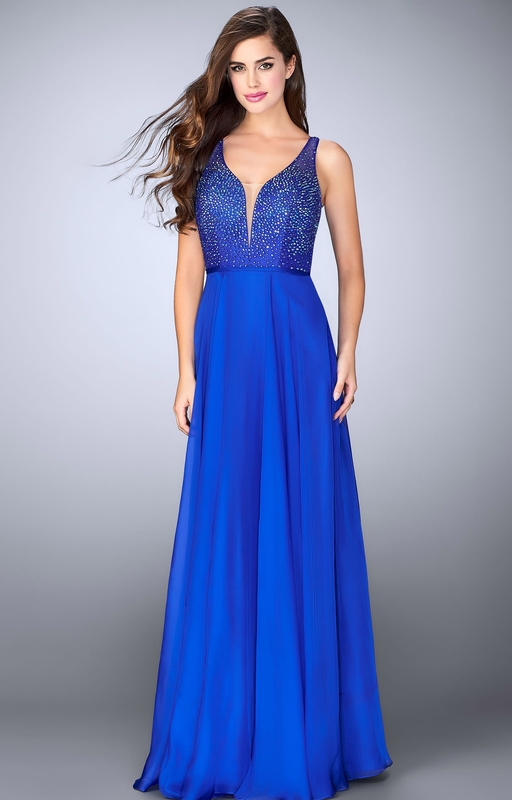 Have you been looking for the perfect prom/pageant gown? If so then La Femme 23304 is for you. This poly chiffon dress has straps and a deep v neck line, while the bodice is covered in beautiful crystals. This long dress also has an open back!